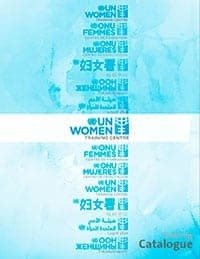 This Evaluation Tool was developed to summarize and make applicable current approaches, concepts and methodologies to measure success and outcomes of training for gender equality (TfGE). The document contains a summary of currently used conceptual frameworks (such as the Kirkpatrick 4-stop-model, theories of change, and Results Based Management -RBM- result chains), evaluation tools and methods (satisfaction surveys, Gender Equitable Men Scale -GEM scale-, interviews, observations and document reviews), as well as data analysis and management. 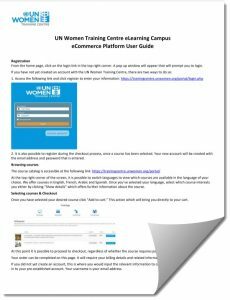 It is a brief overview of selected approaches and tools that have been useful for the UN Women Training Centre in its practice for evaluation processes. It shall provide trainers and training coordinators committed to promote gender equality with some practical guidance on how to evaluate training initiatives. The publication includes some ready-to use tools in its annex, including tips on how to collect and interpret data indicative of the changes training for gender equality is aiming to bring to its beneficiaries.